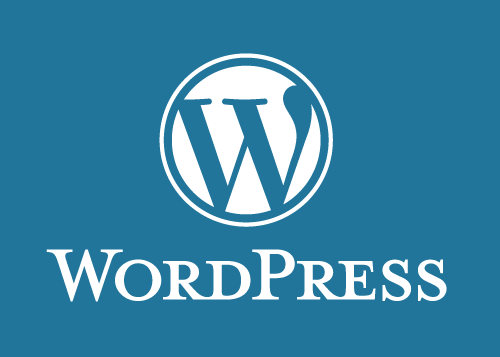 Some days ago, somebody told me to write a book for him about WordPress…. And, he told me that he’s going to give a typist who will type it on his laptop and turn it Ebook and finally sell it! On hearing the word “ebook”, I felt like finally, “I will disgrace my choose girlfriend (#writing) and myself cos, I’d never write a book for publication in my life either online or offline. I said to the young man, “don’t worry, I will get it done for”. He added “I want the book to contain comprehensive guides (step-by-step) on starting a WordPress blog or website, Customizing a WordPress blog, Creating an eCommerce website on WordPress and finally, creating a forum site on WordPress”. “All in one package”? I asked myself. He said, what do you want? Data, book or what. I said to him, just get me a book you have, don’t pay for my data, just get me ordinary book. Why did I asked for ordinary book instead of telling him that “hey Mr man, I will write for you at $0.12 per words and, my target is to write about 10,000 words for you making $0.12 X 10,000 = $1,200! I knew that he will quickly run away without any negotiation..😂 but, I refused to place any price tag on the book…. Don’t ask me what will be my gain o at least, I will have my first book online but about the money hehehe, their is a business strategy for it (don’t ask me what). So, back to the Writing Block. Hmmm, I sat down at the corner of my room, placing a book on my small table while I was soliloquising. Did is not like ordinary blog post that I use to write on my blog and for clients… It’s going to be an ebook. I want to gave up the freelance job but I said to myself, let me give it a trial. Quickly, I started downloading some PDFs, reading how everything was perfectly outlined, how the writer started with his introduction and how he impresses his readers with words. After that, how will I start… I know that most of you hear will say, “ordinarily ebook you want to die” but hey, it’s not going to be a copy-paste one, I don’t want to give credit to anybody than to the images I will be using. So, I started writing gradually but at a Point, Writing Block blew whistle on me, I don’t know what I write about. After four days, the big bro told asked me, “Tosin, please have you helped me to finish the book because I want to give the typist immediately?” I answered “yes, just two days left… You know, I don’t really have time to do something personal, I just have the midnight to write” and he said okay. But, I don enter yawa o… I’ve not start writing the main contents and I promised two days. I just slapped the writing block in me and, hehehe… The stubborn boy ran away quickly without pleading for mercy. I took my kpalasa windows phone and started reading some tutorials and after that, I began to write. You see, their is something called STATE and STATIC in live, my STATE as at that time when the bro told me to write a well comprehensive book was “I’m not Capable to do this” and my STATIC was “Low self-esteem”…. But hey, I beat the static and defeated it and something began to resurrect in me because, “Once the STATIC has cleared, the ideas of new INNOVATIONS will begins to FLOW”! So, in short the book is ready, deliciously ready! Very soon, the book dubbed “From Zero to WordPress Hero” will be available for buying. In this book, I explained everything you need to know about setting up a blog or website on WordPress, customizing your WordPress site, creating a forum on WordPress and finally launching an ecommerce on WordPress also, I can help you do the dirty work for free as long as you buy this book and pay for your domain name and hosting. With this book, an infant will set up a WordPress blog, website, forum and ecommerce site. For those asking me to help them create a website or blog but you ran away after hearing the price, come and preorder for this book and create it for yourself later when you can buy yourself hosting and domain but the good news, after getting this book, you will learn how to get free domain! It’s ready for all beginners, “From Zero to WordPress Hero”… Preorder for yours now! To order, send me a message on Stephenolgade01@gmail.com or comment here!